Just letting ya'll know about a little art show which is on for one night only next Thursday 28th June, 6pm at the Lo-Fi Bar, 383 Bourke Street (above Kinselas on Taylor Square), Darlinghurst. It's called The Art For Jungle Project, and it's an eclectic collection of art, design and jewellery with contributions from artists across Australia. 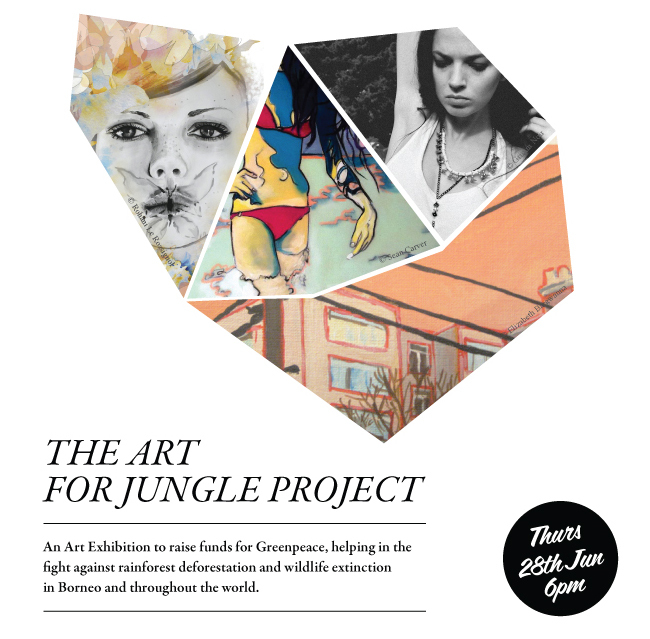 The purpose of the exhibition is to raise funds for Greenpeace, so they're collecting $5 donations at the door. I've handed over a couple of my etchings as well as two of Boheem's not-yet-launched typographic screen prints. Hope to see you there!